Who can use an electric bicycle? Electric bicycles have a big potential, they certainly have lots of benefits. But not everyone will enjoy the whole benefits of using them. In this page, I want to put things in perspective. I want you to understand what the electric bicycle can give you and what it can't. The following use-cases are a sample of the many ways that electric bikes are changing the way people are getting around. "I spend about two hours inside my car each morning on my way to work. The traffic is catastrophic and the distance is about 60km." 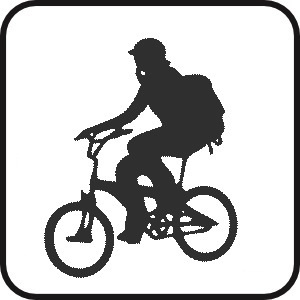 Electric bicycle does not intends to be used for such long distances. First of all, you would need a strong battery (maybe even an extra one) and second, riding 60km (in every direction) on a bicycle every day can be unpleasant. Instead, you can use any sort of public transpiration to cover part of the distance and for the rest of the trip, you can use a foldable electric bicycle, which can be carried in a bus or a train. You will arrive to work fast, relaxed and sweat-free. To read more about combining e-bikes and public transport, click here. "I run a pizza place. My pizza deliveries costs are quite high because of all the gasoline scooters that I rent. I've to pay high insurances and taxes and I would be happy to reduce the overcall maintenance costs. Also, my place is located in a very quite neighborhood and the noise of the scooters are disrupting the atmosphere for me, for my costumers and for the neighborhood citizens." The costs of maintenance of an e-bike is a joke and the price per mile is even a better joke. Also, you won't have to pay any taxes and insurance fees. The electric bicycle's only noise is the whisper of the wind around them so that beautiful atmosphere in the neighborhood could be gained again. In addition to regular two wheels e-bikes, you also have the option to use e-trikes to deliver heavy loads. Electric bikes deliveries service is the ideal solution for covering area within a ten to twenty miles radius. 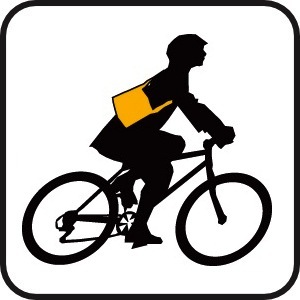 Packages and mail distribution can also be done by using an electric bicycle. It is not only much cheaper to operate, but it was found out that in the highly dense urban fabric, it is also faster then other options like cars and trucks!Click here to see read about examples from the real world. And if you want to read about other options for integrating electric bikes in businesses, click here. "I hate bicycling, but I heard that with the electric bicycle you don't have to use the pedals and on top of that I don't have to pay any insurance or taxes!" If you don't like bicycling, don't buy an electric bicycle! Maybe consider buying a scooter instead if the taxes are frightening you. While it's true that you can ride on part of the electric bicycle without pedaling (pedal assist bicycle is different), the whole philosophy around the e-bike is different. The e-bike has, what I called, the "superman effect", it make you feel that you are fit enough so that no hill can break you. 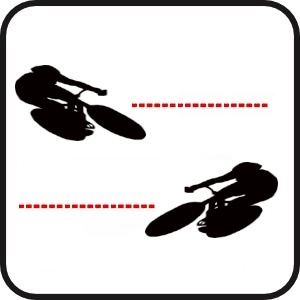 Also, the acceleration and the distance are largely affected if you are not pedaling. The rider's pedaling input is an important part of the electric bicycle concept. If you are unable to contribute the very minimum of cycling power, an e-bike might not the right vehicle for you (you would be able to handle a very flat terrain but not much else). "I live for high speeds. I want to ride at least at 60 miles per hour and I want to pass all the cars around me." 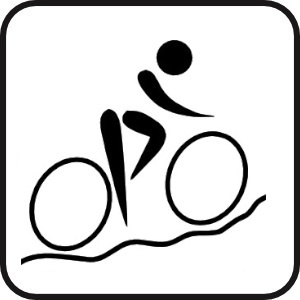 Usually electric bicycle doesn't exceed the speed that a good rider can achieves at peak performance. 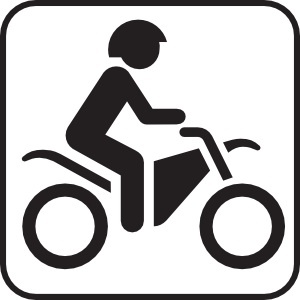 If you are a speed junky, you should search somewhere else, maybe consider an electric motorcycle. The e-bike can give you an average travel speed that is higher in about 5 or 6 mph in comparison to traditional bicycle. You will be able to maintain this speed under any conditions and the acceleration is better. "I want to race at the tour de france and I think that an electric bicycle can give me an advantage." "I live in the center of a crowded city and I have a short traveling distance to my work. The traffic is crazy around here so using my car is suicidal. Also, there are not enough parking spaces and the once available are quite expensive. I tried to use my bicycle, but when I've finally got to work I was all sweaty." You are probably the optimal user of an e-bike. With the e-bike you can avoid the traffic jams, the never ending parking searching, get some light exercise and save a lot of money. Saying that taking the car is always the fastest way to reach your destination is not necessarily true. 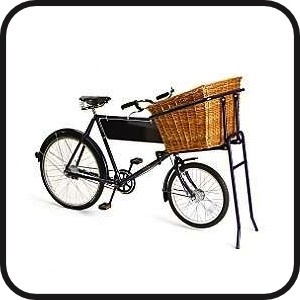 For short errands, the electric bicycle is almost always faster. While starting your car, going out of the driveway, being stuck in traffic and looking for parking space, you would even can be on your way back with an e-bike. So if the vast majority of your trips are located in less then 30 km from where you live, you can use an e-bike for all sort of errands in the city. And here is a good example. "I've decided to reduce my overall consumption of energy as part of my attempt to save money and become a more eco-friendly person." The electric bicycle will save you money big time. The maintenance and the dollar per mile costs are ridiculously low in comparison to other modes of private transportation and especially when you compare it to owing a private car. Also, as a wannabe eco-friendly person, switching to electric bicycle is one of the best way to reduce your energy consumption dramatically and the return on investment time is unbelievably short. For the vast majority if your short trips you can use an e-bike and stop polluting the environment, and be more environmentally friendly. Click here to see the comparison between the environment impact of different modes of transportation. There are even ways to charging the e-bike with renewable sources of energy like solar cells or wind. 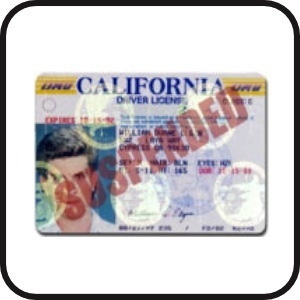 "I am under a suspended license period. I was involved in an accident that by all means was my fault and the judge took my car license away for six full months. I wonder if I can use an e-bike as an alternative." Many people like you are choosing to use electric bicycles when they are under such a penalty. Many of them fall in love with their e-bike and continue to use it even after the penalty is over. If you have a long distance to cover every day, using an e-bike in combination with the public transportation (if you have a good system in your area) works great. Electric bicycles require no license (in most countries) so if you don't have a car license, an electric bicycle can be the ultimate solution for your mobility purposes. "I live in this beautiful area where there are amazing mountains all around. There is no a single day pass without you be amazed by this beauty. The problem is that is nearly impossible to use bicycle regularly in a place like this if you are not extremely fit. Does electric bicycle can be of any help?" Part of the reason many people switch from bicycles to electric bicycles is because of the ability of the e-bike to carry them on steep hills with much less effort. 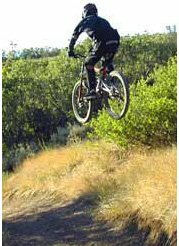 There are many mountain e-bikes for you to choose from. Prefer high quality e-bikes that would really be able to serve you in this steep hills. "When I was young, I used to ride my bicycle practically anywhere. Nowadays, my legs are not in the same shape as they used to be and riding my bicycle is out of the question. Will electric bicycle could help me regain my youth?" With an e-bike you will feel 40 years younger! Many people who were forced to quit cycling due to their age can now step up again on an e-bike and ride. With an e-bike, hills shouldn't be a treat anymore and fear of getting exhausted in the middle of the ride is gone away. You can really reintegrate cycling into your life again. 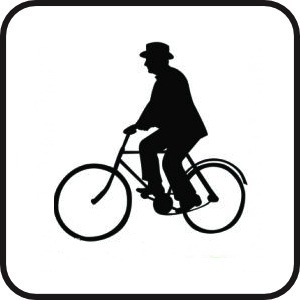 Many seniors use their electric bicycle as a mobility vehicle for short trips around town. Some even use it to keep up with their more fitted children or partner. 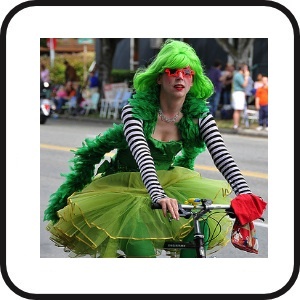 Just don't be surprised when you get a few stares from other cyclists you just passed on the bicycle lane. Here is a nice example and also a nice clip. "I am a policeman. I do a lot of car patrols inside my city. My city is very dense so when I have to write a ticket for a parking car for example, I've to first find a place to park and let me tell you, this is not an easy task. There was times that by the time I got back to write the ticket, the car was not even there anymore!" An electric bicycle can easily solve this problem. You can lean your bicycle next to the parking car and write the ticket. Also, e-bikes are very quiet and quick. 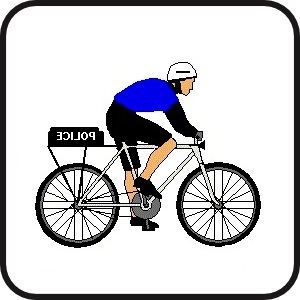 They can give police officers the extra boost which is not available with a conventional bicycle while retaining all the advantages of bicycles like great maneuverability, on-road and off-road riding ability and more. With a conventional bicycle you must be quite fit, you are going to sweat a lot and you won't be quick enough, an e-bike solves all this shortcomings. Many police departments usually already have a fleet of bicycles, so they can convert those bikes into electric ones with relatively low expenses. Moreover, the fuel saving is enormous (police cars patrolling around the city are big gas guzzlers), it would usually take just a few months to pay back the electric investments. To read more about examples of e-bike police squads, click here. "I ride all day long, 7 days a week. That's pretty much all I do from the moment I wake up until I go to bed. It's a big part of my lifestyle and my work. Does an e-bike can suit me?" The electric bicycle range is limited. The range depends on a number of factors, the most important one is the battery capacity. Big batteries can assist you for longer ranges but they are also limited (and heavy). Charging a battery from empty to full can take a couple of hours, if you don't have this kind of time during your busy day, you can either buy a second battery or use a fast charger. The e-bike's battery useful life is limited. Because you ride so much, you will have to replace batteries frequently. Still, from an economic point of view, it is still much cheaper than any other type of transportation. An e-bike can be of a great help for you but just make sure it has the best battery technology available and that it is lightweight. In that way, when the battery will indeed go dead, you will still be able to ride your bicycle fairly easy, just as you are used to with your current pair of bike. "I live in the city. The parking fees are high, finding a free parking space near my house is close to impossible. Most of my car trips are short but, once in a while, I'm also using it for long trips. Does an e-bike can help me?" Many of us can't avoid using a car from time to time. Whether it be for a weekend trip, going on a date or carrying heavy cargo from one place to another. Instead of owning a car, you can use a car sharing program (also known as Car2Go) that is quite widespread in many places. You would have the option to do your long trips with the shared car and for all (and vast majority) of your other trips you can use an e-bike. A large percentage of our trips are within two miles of the home. More then 50% of the people travel under six miles to work. It just make so much sense to use an e-bike for this kind of trips. Think about obtaining an electric bike as a second vehicle instead of getting a second car. 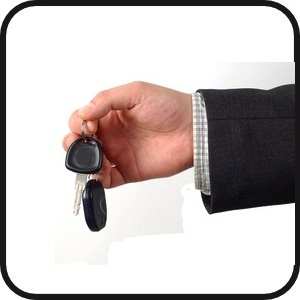 It will help you save money on gas, decrease pollution and congestion in metropolitan areas, cut trips times and more. Here is an example from Paul who decided to replace his car with an e-bike and also a forum thread which discuss the pros and cons of replacing the car with an e-bike. "I use my bicycle for light sport activities. I love cycling around the park, breath some fresh air and get some exercise, does an electric bicycle can offer more?" Electric bicycles are great for enjoying a day at the park or a scenic ride. If you feel uncomfortable going up hills or afraid that you are out of shape, electric bicycles can help you. Instead of worrying, you can enjoy the ride with your loved ones. 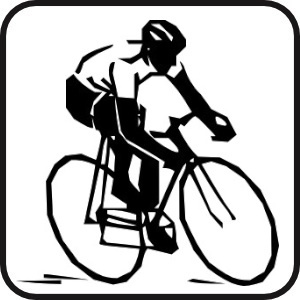 An electric bicycle can be used by people who ride together with other stronger cyclists and want to keep in pace. Hotel tours can include everybody on the tour without worrying about who is strong and who is not. Also, an electric bicycle is great for traveling. 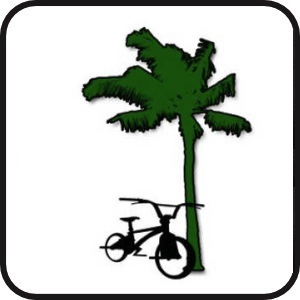 Click here for traveling with an e-bike. 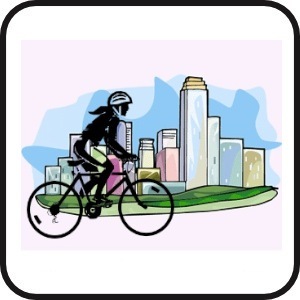 Electric bicycles can also improve your overall health and well-being. Unlike exercise bikes that you would probably use indoors, electric bicycles can be used outdoors. Therefore, exercising on an e-bike can be combined with your other activities, like going to work, shopping at the nearby shopping center, enjoying a day at the park, etc. Also, some electric bicycle can be adjusted to your fitness level in the same manner that an exercise bike is being adjusted. "I live in a very sparsely populated area. I pay tons of money on gas each month because I have to drive my car wherever I go. Riding on a bicycle on a daily basis is obviously not possible but I've recently heard about e-bikes and though that maybe they can be a viable alternative. Am I right? With their longer range compared to conventional bicycles, electric bikes can make it possible for you to use them on a daily basis conceivably. Public transportation service is usually lame in rural areas, gas prices are likely to keep on rising so an e-bike can indeed be a good solution for you. Here is a nice clip from england which promotes and explain the idea of using an e-bike in the rural areas. Particularly, in 3rd world countries, where there are poor road conditions, with more unpaved roads then paved ones, people can use electric bikes as a cheap mean of transportation. Electric bicycles can connect between different towns and give people the possibility to reach distant places for the first time. "I'm a university student. Can an electric bicycle can be of any use to me?" You can use an electric bicycle to travel to and from your university and to travel to and from classes. The range of a standard modern e-bike should be more then enough to cruise around a large campus during the day and riding back home before the need of another charge. You can lock the battery to the frame of the bike or take the battery with you and recharge it during a class, for example. Using an electric bicycle for large institutions like universities (or large businesses campus, airports, hospitals, parks, etc) make a lot of sense. Students, like yourself, who are usually stretched about money, can save a lot of money on gas and licenses or transit fees. You can even buy a folding electric bicycle if you live in a small dorm room. A folding e-bike can be stored even under a bed or in the closets. Pietzo is an example of a company which support a number of colleges and universities with their e-bikes: link. "I've just had a surgery and i'm partially disabled. Before the operation, I used to be quite an avid cyclist, but now, unfortunately, riding a bicycle is almost out of the question for me. Can electric bicycle help me here, at least partially until I will fully recover?" 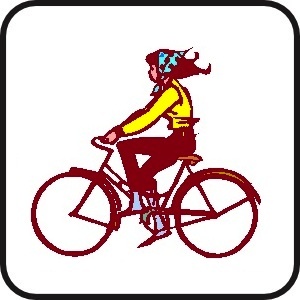 With an electric bicycle, you can gradually ease back into riding a bicycle. 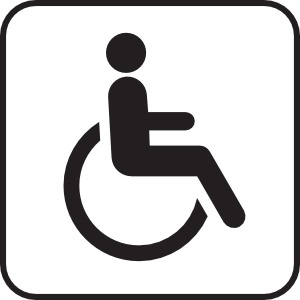 If you can't pedal at full power on your bike due to your disability, the assistance of the electric motor can compensate and complete the rest. The preferred option in your case is to use a pedelec. A pedelec supplement your pedaling effort with a proportional pedal assistance which you determine. So you can start with high level of assistance and gradually ease all the way to no assistance. Some pedelecs even offer the option to set the assistance to be negative, meaning that the e-bike functions as a workout bicycle. Moreover, if you have some other kind of restricted mobility, maybe an e-bike can help you to get around. It is very portable and maneuverable. For people who can't stabilize themselves, using a segway or any other self-balancing electric vehicle can also be a good solution. We just have to be aware and remember what happened in Wall-E…over time if products like this keep coming out to improve our sitting mobility we're all gonna end up so lazy that we wouldn't able to transport ourselves under our own power. "I transport my child to school and back on a bicycle. It isn't consistent, we just do it once in a while. I would love to do it more, it's a great fun, but things like very hot days, my tight schedule and more prevents me from doing so. In addition, our other child will soon start to attend school too. Does an electric bicycle can transform me to a super Dad?" A motor can really helps with the extra weight of one child, and even more so with two children. You don't even have to pedal all the time so you can enjoy the trip more. Any load (and a child is counted here as a load ) significantly increases the power demand from the rider. With the help of an electric bike, the bike's usability is extended. It means that even an average fit person would be able to carry one or two children up on a hill. It means that you are in charge of how much effort would you make. In the hot days or the busy days you can set the electric assistance to high mode and in other more relaxed days you can set it to low. 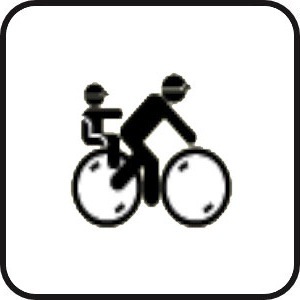 On the bicycle, one child can sit in the front carrier and the other can sit on a rear carrier. Another option is to use a child trailer. you have to remember that when you carry your children, the number of loads points is not the usual one (you) but two or three (your children). 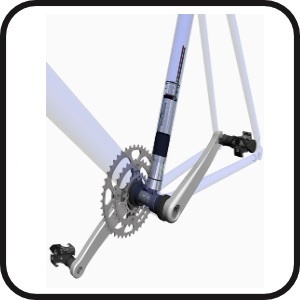 This extra load points increase the stability of the bicycle. It's true for any bicycle, but on an electric bicycle it's more important because of the higher speed and the more powerful acceleration. Because of that, an electric bicycle with low center of gravity points (on each one of the load points) is preferable. Kids love to ride on a bicycle and when they will see that with the help of an electric bicycle you are able to take them all the time, they will start to complain when you want to take them by car so get ready for that!